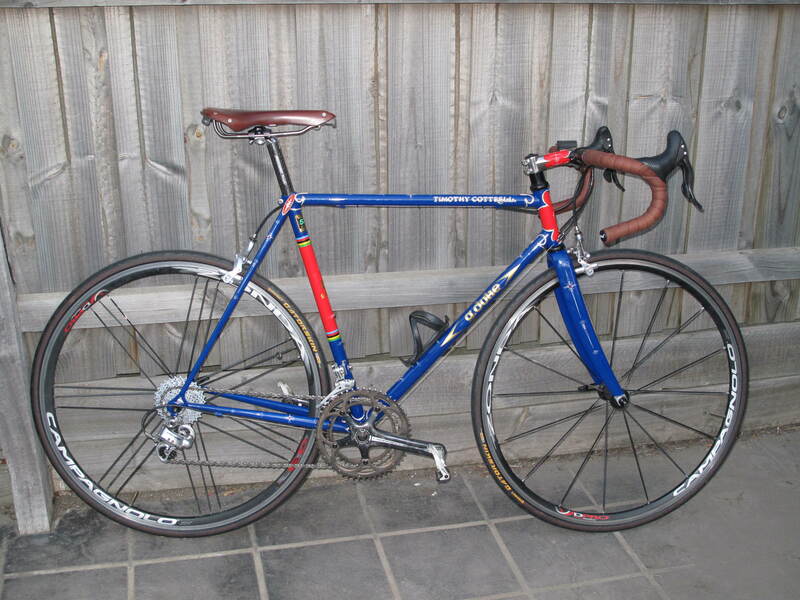 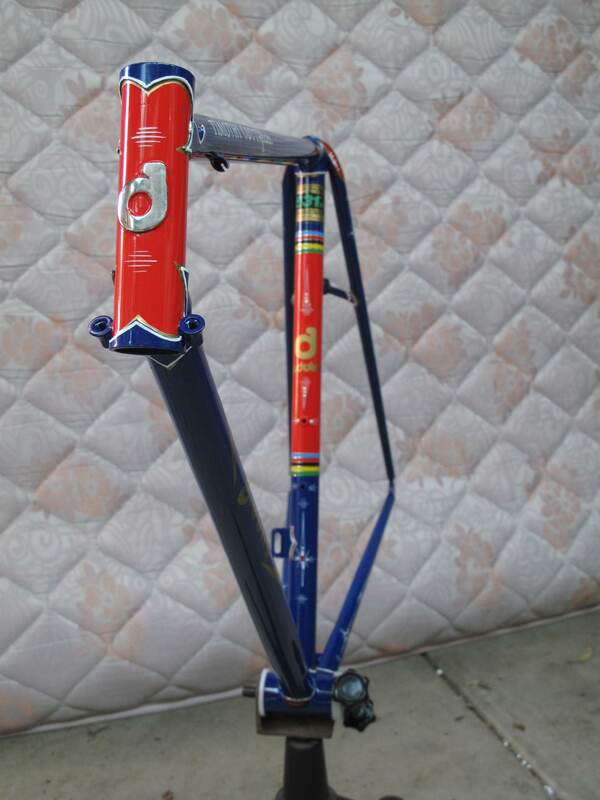 Its February already and while I was away in Port Fairy,riding with the locals down there and swimming in the ocean I got a couple of very exited texts from Tim who had met with Kevin Wigham pf Paconi fame to sus out details for the repaint of a frame I built for him a few years ago. 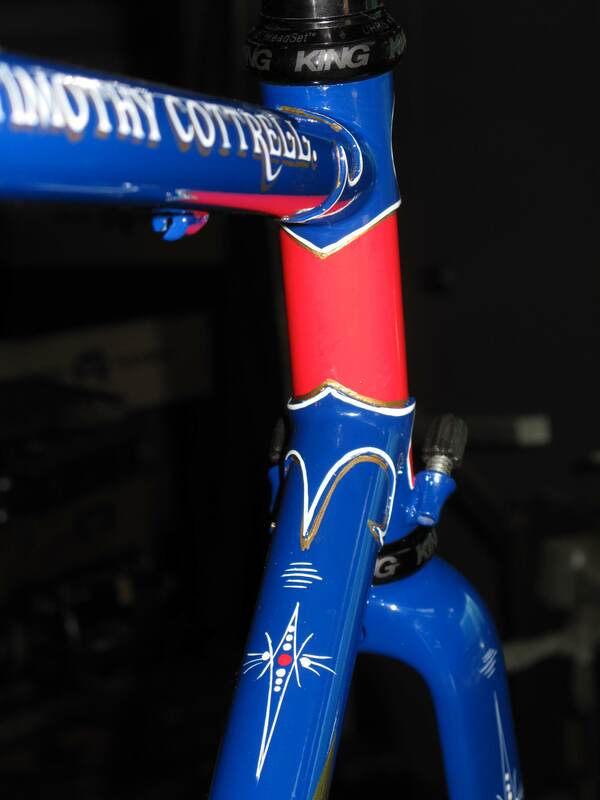 I came back from holidays and a week later was met by Tim with a look of excitement and a frame with one of the most incredible paint jobs I have seen. 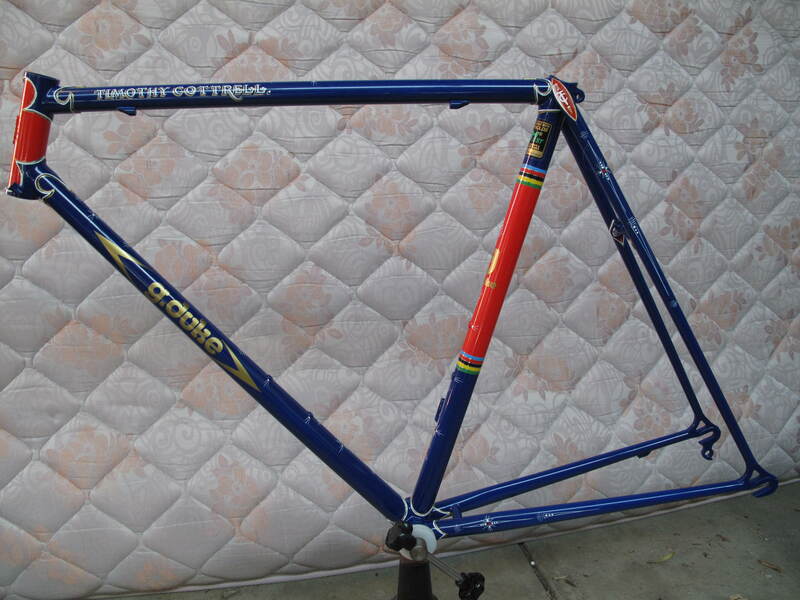 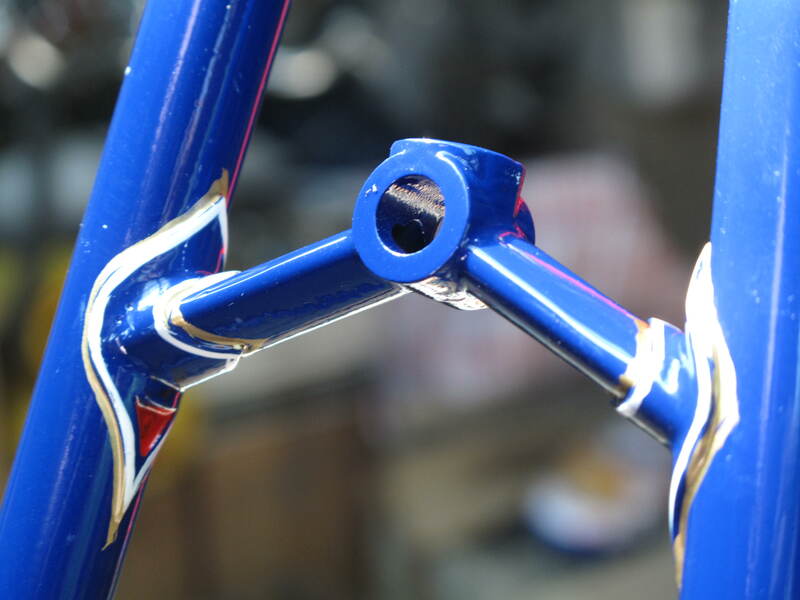 Tim wanted to invoke all the elements of a traditional frame in the paint job. 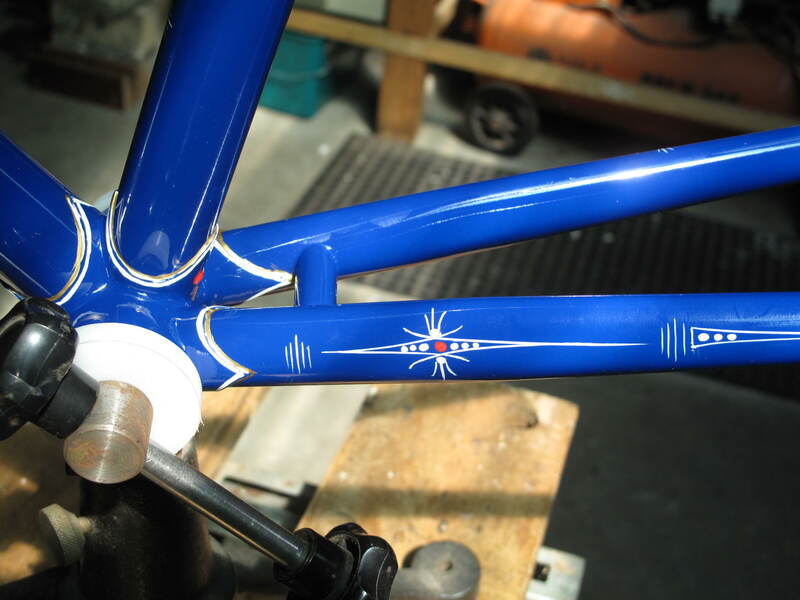 Kevin did the spray job and Ken Dickie did the lining.I believe Ken was the man responsible for the paint jobs on many of Norm Bates bikes.There is a nice symmetry here because this frame was built using lugs that came from Bates shop in Coburg. 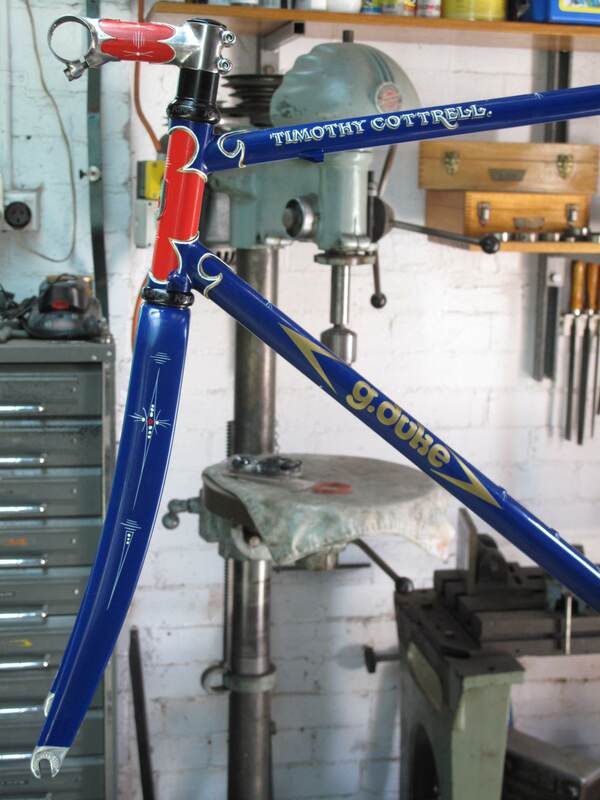 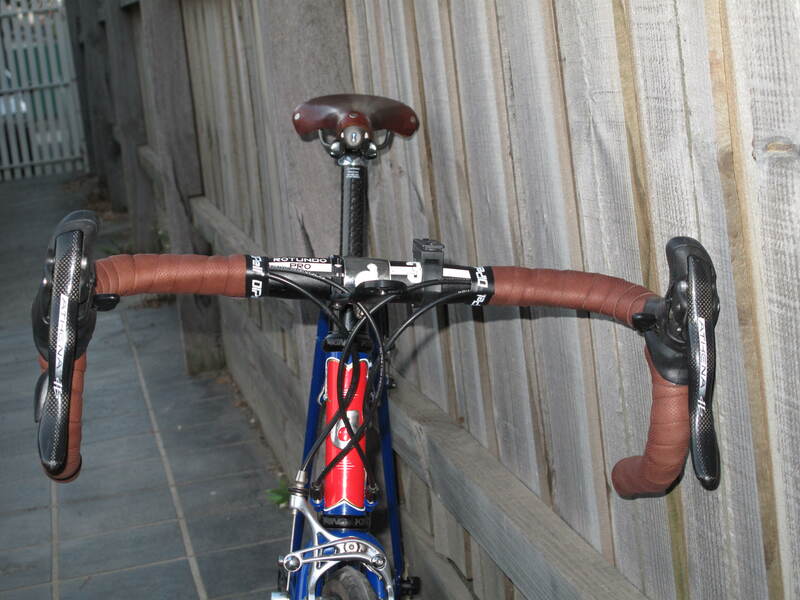 I cant take any credit for what you see, and can only be flattered that Tim would go to these lengths on a frame I built. 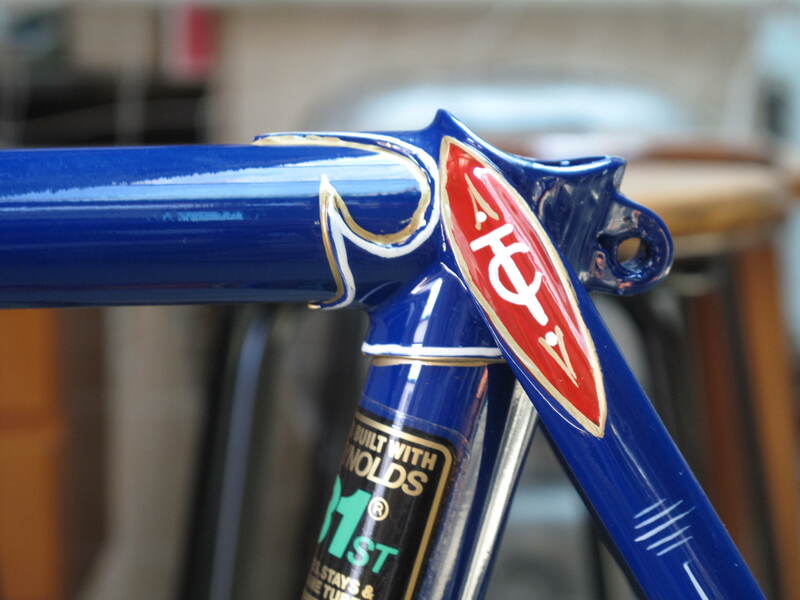 I know these photos wont do it justice but enjoy.